Which Intuitive Author Has Your Myers-Briggs® Personality Type? 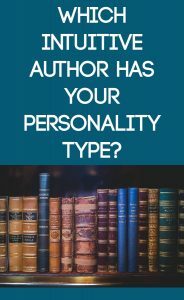 Personality type has a great impact on writing style, with each preference shaping the way an author forms and translates what’s on their mind. Sensors tend to write in a linear fashion; with numerous picturesque details highlighting their stories. Intuitives use metaphor and rich symbolism in their storytelling. Their stories are generally less linear, and tend to jump around in time. Most of these authors were typed by famous psychiatrists; Carl Jung liked studying historical figures and authors to determine if they used Sensing or Intuition. Psychologist David Keirsey also enjoyed typing famous authors and public figures by reading their autobiographies, interviews, and books. Are you a sensor? Check out the sensor authors here! I hope you enjoy this list! Please feel free to comment with your suggestions and thoughts! 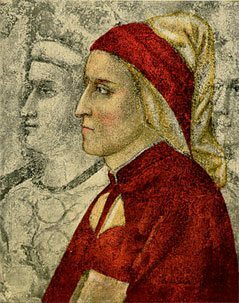 Dante Alighieri was an Italian poet and moral philosopher best known for the epic poem The Divine Comedy, which is an allegory of life and God and the afterlife as revealed to a pilgrim. His writing is epic and beautiful, full of symbolism and meaning. He pleads with mankind to steer itself to righteousness, and gives a stunning account of how he views the outcome of man’s choices. Dante captures the symbolism and depth of meaning that INFJs infuse into their world and their actions. INFJs are often thinking far ahead into the future and trying to determine how their present actions will play out someday. INFJs are also extremely idealistic in their views of how mankind should live. They hold very tightly to their moral beliefs and believe that life should not be spent without serving humanity in some great way. Edgar Allan Poe’s writing captures the vivid imagination and passion of the INFP personality. He is best known for his short stories and poems, including “The Fall of the House of Usher”, “The Tell-Tale Heart”, “The Murders in the Rue Morgue”, and “The Raven”. 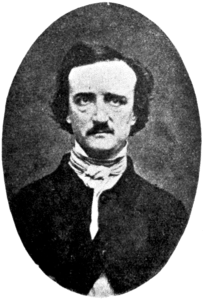 Poe was able to write about romance and horror with equal adeptness, and his stories still move audiences today. We can see Poe’s use of Intuition in the way he employs frequent symbolism throughout his poetry and is always looking into the meaning behind things. His use of feeling shows up in the way he used poetry to express his philosophical ideals and intense inner emotions. Poe was constantly trying to be more truthful and to clearly translate his unique vision of the human condition to his readers. 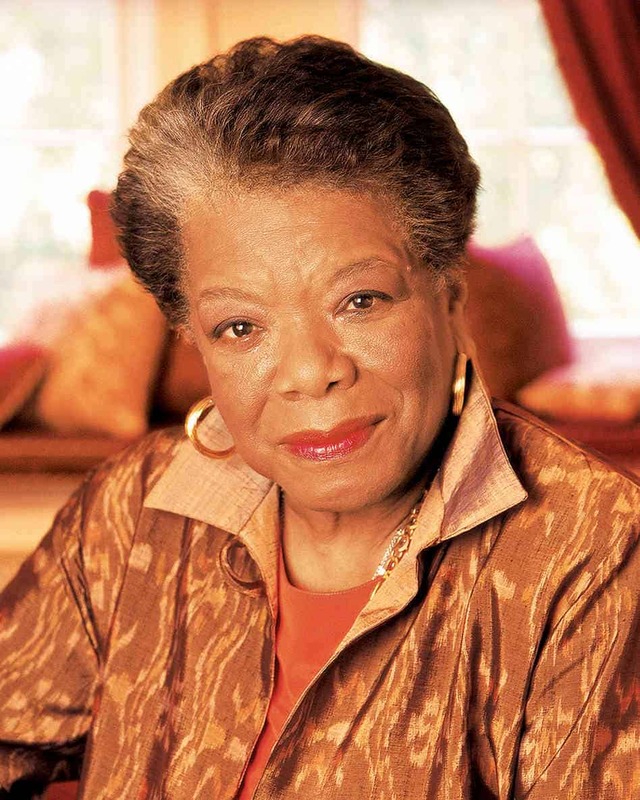 Maya Angelou is a renowned American poet, memoirist, educator, and civil rights activist. Some of her most famous works include: A Brave and Startling Truth, Mom & Me & Mom, The Heart of a Woman, and I Know Why the Caged Bird Sings. Angelou’s life was far from easy; she dealt with poverty, sexual abuse, and racism, but she never lost her unquenchable faith in the human spirit. She cared deeply about others, and was determined to make a difference in the world. She spoke out about racism and educated people around the world, from all backgrounds, about art and expression. Her desire to improve life for others, her insight into the human spirit, and her symbolic word usage are all core ENFJ traits. Charles Dickens is the author of many of our most beloved classic novels. Oliver Twist, A Christmas Carol, David Copperfield, A Tale of Two Cities and Great Expectations are just a few of his many masterpieces. Dickens writing is famous for its symbolic comparisons, intricate characters, and whimsical sense of humor. 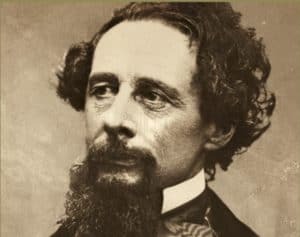 We can see Dickens Intuition in the symbolic and poetic comparisons he makes to people and things. We also see his Intuition in the way his numerous intricate storylines come together in one meaningful message to the reader. We see his depth of feeling and values (Introverted Feeling) in the way he fiercely defied and spoke out against poverty and the social stratification of Victorian society. There is empathy in Dickens writing, even for villains and thieves. 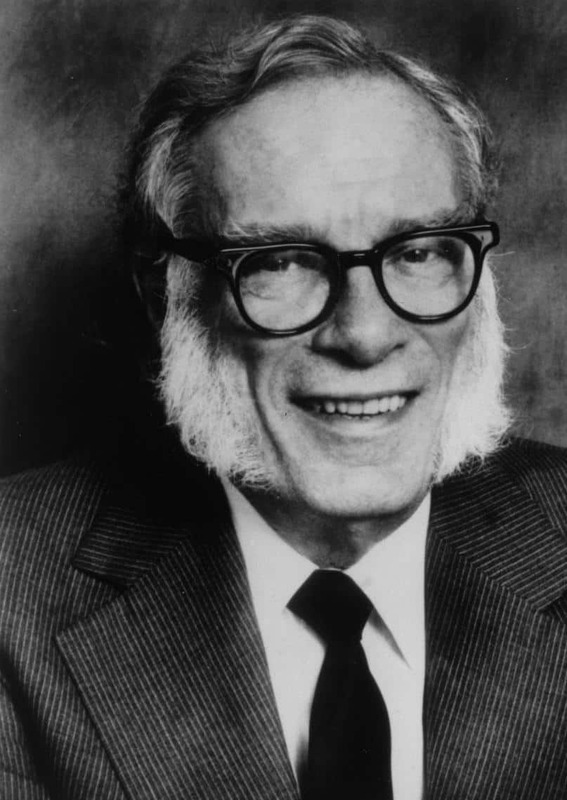 Isaac Asimov used science fiction to explore his insight into humanity and the unseen future. He delivered a plethora of gripping tales filled with technological advances and theoretical possibilities. His intuition and strong sense of logic guided all his stories, and his various perspectives allowed him to write not only about science fiction, but religion, astronomy, biology, and even literary biography. 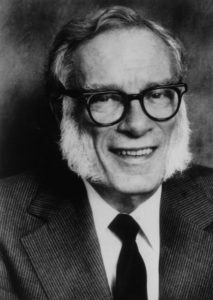 In his lifetime, Asimov wrote over 515 books, not including his short stories. Some of his most famous works are I,Robot and the Foundation trilogy. We can see Asimov’s use of Intuition in his constant quest to determine what the future might hold for humanity. We also see the characteristic INTJ skepticism in his interviews and quotes. He regularly questioned what is, what will be, and what was commonly accepted as the standard. He had a great hunger for knowledge that could never be satisfied, but he was determined to bring what he did know to the public. Other Notable INTJ Authors: Jane Austen, Ayn Rand, Friedrich Nietzsche. Henry David Thoreau is one of New England’s most famous philosophers, poets, and essayists. His most famous work, Walden, is a book that is part memoir and part spiritual quest. In Walden, Thoreau wrote his reflections upon living in natural surroundings at a cabin near Walden Pond. During this time, he had no support of any kind, and was able to gain a more objective understanding of society through his personal introspection and connection with nature. Thoreau had a great respect for nature and preserving it. We can see Thoreau’s use of Extraverted Intuition in the way he encouraged and explored scientific enquiry and observation. He was curious and fascinated with the world around him, and instead of seeking a successful career in law or medicine after graduating from Harvard, he instead took to exploring the natural wonders of the earth on his own. He sought a simple life, and experimented with working as little as possible. Thoreau was skeptical of laws and traditions, something that INTPs are famous for. 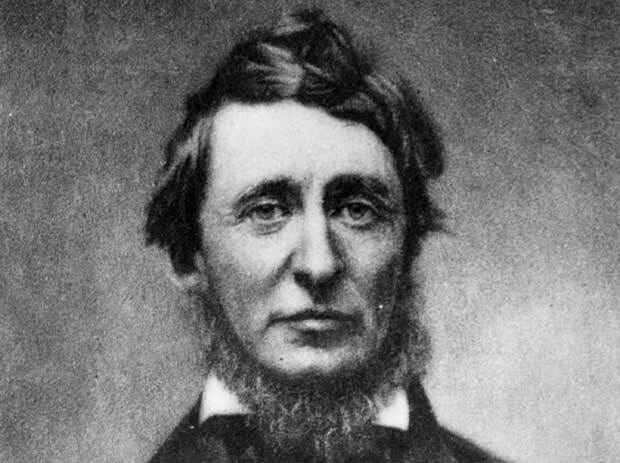 Thoreau’s skepticism and anti-authoritarian beliefs sometimes caused him personal struggles. He spent a night in jail after refusing to pay a poll tax. This experience led him to write one of his best-known and most influential essays, “Civil Disobedience”. Thoreau held strong political views, opposed slavery, and made a strong case for acting on one’s own individual conscience. 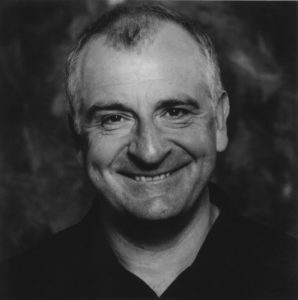 Douglas Adams was one of Britain’s most esteemed authors, scriptwriters, essayists, humorists and satirists. He is best known as the author of The Hitchhiker’s Guide to the Galaxy and The Long Dark Tea-Time of the Soul. Adams writing captures the inquisitive, playful, future-oriented nature of the ENTP. We can see his use of Intuition in the way he is always forward-thinking and future-oriented in his writing; he deals in theoretical universes and possibilities. We see his combined use of Intuition and Thinking in the way he remained skeptical of commonly accepted traditions and was always determined to expand his knowledge base. He was fascinated by technology and understanding systems; a core ENTP trait. He also displays the characteristic ENTP dark, offbeat humor in nearly all of his stories. George Bernard Shaw was an Irish playwright and critic who wrote more than sixty plays, including major works such as Man and Superman, Pygmalion, and Saint Joan. Shaw was known for his aggressive and energetic voice, and his bold way of expressing opinions. He wasn’t afraid to express controversial views on anything from Britain’s involvement in World War I to alphabet reform to opposing vaccination. His public stature was often negatively impacted by his strong political opinions and beliefs; and he often felt despair over being so publicly criticized for his opinions and ostracized in his adopted homeland of Great Britan. Some of his despair seeped into his work; particularly in his play Heartbreak House. Regardless of the critical opposition he faced, Shaw continued to write groundbreaking plays and was awarded the Nobel Prize in Literature in 1925. We can see Shaw’s use of Extraverted Thinking in the way he boldly spoke out against perceived injustices and, in his opinion, illogical rules and standards. 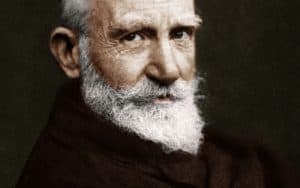 In typical ENTJ fashion, Shaw shunned traditions and higher authority and spoke his mind with zeal and power. He tried to remain rational at all times, and remove any emotional or personal bias from his opinions. His intuition is evident in his writing; he sought to reform society and was always thinking of the future and how he could make an impact with his writing and his voice. Neil Gaiman is one of my favorite authors. I think he may be an INTJ. What do you think? He’s INFP. His wife is ENFP. I’ve always been unsure about Kafka being an INFP, I always thought he’s an INTP. I’m just adding my analysis for discussion here. My first point is: Of course, writing (art in a general way) is something that when you do it, it’s mostly unconscious. Not the language, not the grammar or the logical sense, the intentional things. But most of the time, the story you are writing shadows yourself. For example, I’ve noticed that in my recent manuscript that the three main characters are my archetypes, So, yes, of course. Most of the time you don’t have control about what the story is going to show about you. But this is not, in my vision, the most reliable source. Firstly, because you’re going to revise, cut some parts that are excessive, make alterations in the language, try to make it look nicer, etc. What I mean is that you can’t focus on what it’s been written, but why and how. And, as he’s not alive anymore, I will analyse his fiction and his diaries and letters. Ne vs Ni: It’s very prominent in his writing as a whole. I think you will notice it mostly in the dialogues of the characters (especially in his longer works, like The Castle and The Trial): they are always contradicting themselves, vomiting their thoughts, almost if they are constructing the basis of their arguments while talking like Kafka himself. The length of his paragraphs suggest Ne, mostly because Ne is divergent and Ni is convergent and I suspect by reading his unfinished novels that they would be even longer without the revision.. How? While Ne is preoccupied in covering all of the variables, Ni is preoccupied in being concise and objective. “Oh, so isn’t this irrelevant because of revision?”. Well, kind of. If he was an Se-Ni writer (of course, not trying to manufacture something he isn’t) he would most likely clean the excesses, it would be something that annoys the objectiveness, the “look and see it” and the course of action. If he wan an Ni-Se, he would reduce them but for a different reason- too long paragraphs would be meaningless to greatest goal of the plot and they carefully filter their word to create a personalized vision of world. Kafka doesn’t do it, he wants to cover all the variables and create a very logical plot or argument. His characters’ show that and the narrator is meticulous in showing each present character action to mirror a thought or feeling, etc. Si vs Se: I think you can notice it in how his characters mostly receive information and on scenarios. When their characters are receiving a new information, you can see that they aren’t raw or unfiltered, most of the time there is a comparative with a related information already presented and in his Letter to the Father, you can see how he evoked already past experiences to justify why they couldn’t get along or why he was the were in the present moment. And his scenarios are mostly poor, showing a low sensory function on him. They are basic and, I would guess, almost internal in the narrator as if he’s expecting you to picture it briefly than to feel fully immersed on it. And another argument to his Si would be how Kafka is meticulous in describing what is necessary to make the plot (as we call today, Kafkaesque) go, to show the characters’ thoughts and to describe their logical arguments by their dialogues. On his real life, I could add his clear disgust with bureaucracy, routines and micromanaging, even though he followed a routine himself. Ti vs Fi: I will compare him with Murakami, who is an INFP (even though people say he’s an INFJ, I think he’s a very good example of INFP. I could explain in the replies if anyone ask). I think, in his fiction works, the greatest difference is what they both are aiming with their works. Murakami wants to tell stories that can evoke emotion on the reader or, at least, make him feel identified with the story. His focus on his stories are people. Kafka, on the other hand, is not focused on his characters, but what they represent as a whole to the plot, almost if they are tools. Even his shortest stories (like First Pain or a Hunger Artist) is not trying to make you feel, but to make you think. Kafka wants to be inquisitive, he creates situations where the actions, the characters, what is happening is not important, but what you can extract for it and reflect (differently than Ni, that would have a meaning. Kafka doesn’t have a concrete meaning, he has a plot and he wants your mind to take your own conclusions along with the ones he is trying to prove openly with Ne). Even in Letter to the Father, which is of course an emotional confession, you can see that he’s not disapproving his father in a moral way, but in a logical one. The whole letter is him creating arguments to justify why, for example, his father made him insecure. He creates a whole system, a whole structure, with “what ifs”, “what could lead to” instead of just feeling and showing why he is feeling. He’s not talking about the emotions itself, he’s trying to justify them, to give them a reason. And, of course, he is focused on himself and on being individualistic, but INTPs are really individualistic because, remember it, Ti creates systems of variables based on what is logical for the individual and what isn’t. Of course, he’s going to be individualistic or to rebel against what his father or society imposes to him: he doesn’t see any sense on it! Inferior Fe vs Te: This is clearer in Letter to the Father. “Fi will feel continually threatened by the Te perspective because Te has the potential to disrupt or shatter one’s ego-image. Te is focused on applying universal standards/judgments as well as securing efficient outcomes through making broad generalizations.”. I don’t think the whole Kafka’s problem with his father (possibly ESTJ) is that, with his “universal standards” he’ll erase Kafka’s personality, but because Kafka didn’t feel adequate to these standards and that made him feel as if he wasn’t belonging the group. Fe is focused on creating social harmony, on being part of a group and INTPs struggle with it because people are unpredictable and this harms Ti inner stability and belonging on a group seems restrictive because of the social obligations that come with it. Kafka always struggled with what his father expected him to do, because he could never fully understand the reason on them, but at the same time, he didn’t want to harm the social harmony that suffocated his individuality. INTPs often try to create logical theories to justify the human behavior (seem as unpredictable) and he does this frequently in his fiction works and on his letters. Also, he tries to justify his feelings of inadequacy by analyzing himself and trying to justify it universally (never forget that INTPs are their main guinea-pigs) instead of properly feeling them and processing it. So, that’s why I think Kafka is an INTP and not an INFP. What do you think? I’m INTP and open to discussion. The blog is amazing by the way. Hope the best. Thanks! Also, sorry for the typos and grammar mistakes as couldn’t do a proper revision and English is not my first language. Please ignore them.